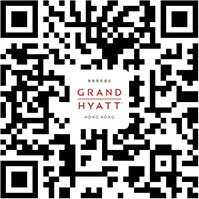 Grand Hyatt Hong Kong features nine acclaimed restaurants and bars offering a fabulous range of cuisines including Chinese, Italian, Japanese and international fare, in the heart of the Wanchai district. Serves true-to-form Italian delicacies in a casual chic ambiance. Celebrated for its prime cuts of the world’s finest beef, complete with a stylish wine room and an intimate cigar tasting room. Legendary spot for European buffets and afternoon tea with an ever-exciting view of the buzzing lobby. 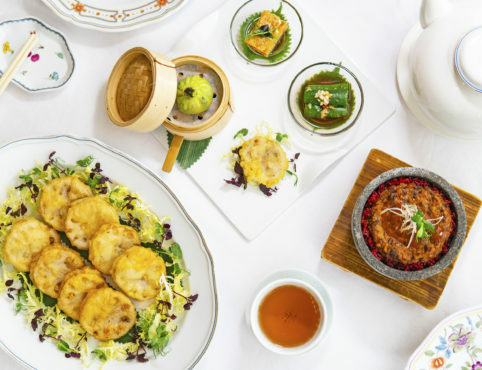 Combines the elegance of a Taipan’s mansion in the 1930s with authentic Cantonese cuisine, with the backdrop of the breathtaking Victoria Harbour. Serves barbecue dinner and weekend brunch. An alfresco dining venue for grilled specialities. 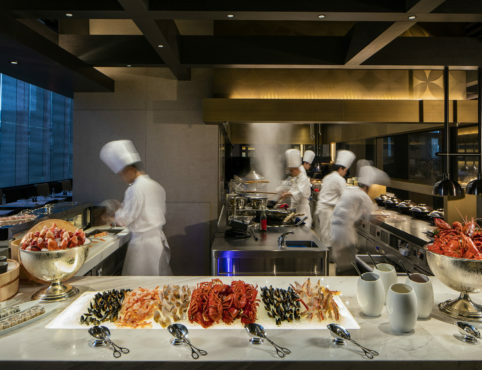 Features traditional Japanese favourites and seasonal specialities with a varied selection of exclusive sake. Presents refreshing drinks and snacks in an artfully landscaped oasis.